The Amazon rain forest covers more than five million square kilometers, amid the territories of nine different nations. It represents over half of the planet’s remaining rain forest. Is it truly in peril? What steps are necessary to save it? To understand the future of Amazonia, one must know how its history was forged: in the eras of large pre-Columbian populations, in the gold rush of conquistadors, in centuries of slavery, in the schemes of Brazil’s military dictators in the 1960s and 1970s, and in new globalized economies where Brazilian soy and beef now dominate, while the market in carbon credits raises the value of standing forest. 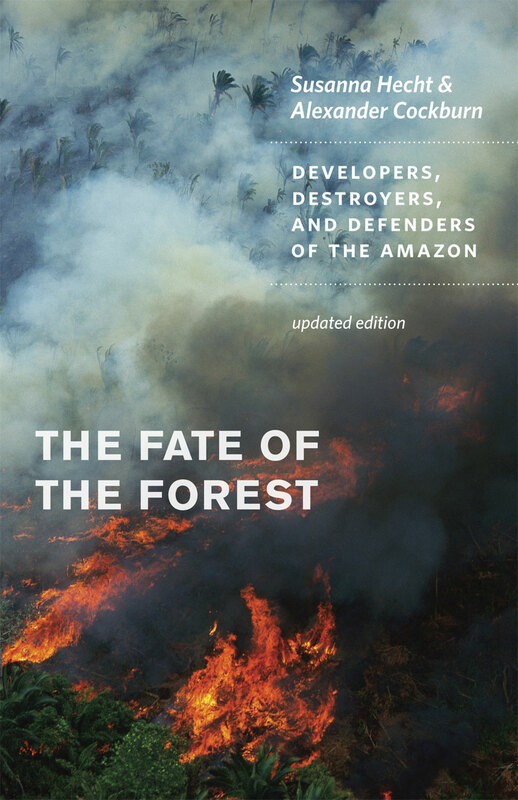 Susanna Hecht and Alexander Cockburn show in compelling detail the panorama of destruction as it unfolded, and also reveal the extraordinary turnaround that is now taking place, thanks to both the social movements, and the emergence of new environmental markets. Exploring the role of human hands in destroying—and saving—this vast forested region, The Fate of the Forest pivots on the murder of Chico Mendes, the legendary labor and environmental organizer assassinated after successful confrontations with big ranchers. A multifaceted portrait of Eden under siege, complete with a new preface and afterword by the authors, this book demonstrates that those who would hold a mirror up to nature must first learn the lessons offered by some of their own people.